We’re often asked how Tweak’d By Nature got its start and most notably, why Denis Simioni returned to Direct Response Television. The answer is beautiful and simple, LOVE. Denis was off the grid and traveling the world over, visiting the villages and the people he had gotten to know over the years, building new relationships, pursuing new “wild-crafted” ingredients and in general, enjoying life with his family. 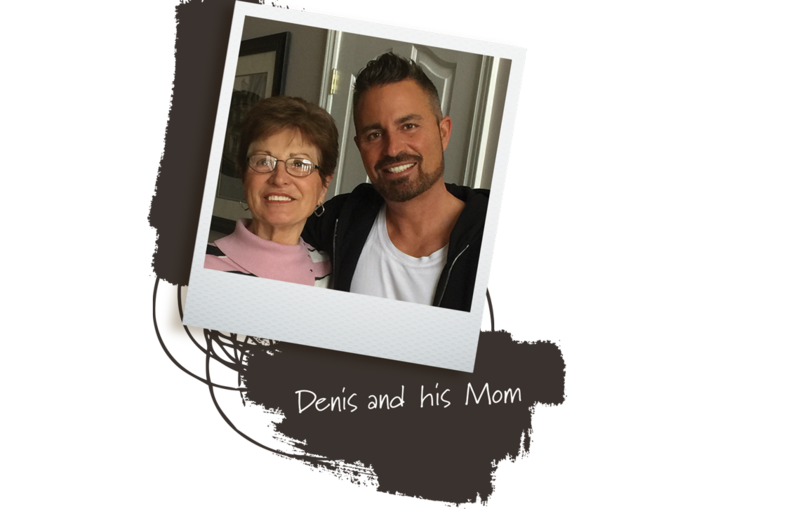 Once he returned from abroad, Denis was devastated upon hearing the news that his mother was diagnosed with breast cancer, for the second time at the age of 77. Having experienced cancer treatments prior to, Mrs. Simioni knew what was in store. Aside from fatigue,headaches and a host of other potential side effects, she had also come to note that the hair that grew back was thin, frail, weak and wispy. She had asked Denis if he could formulate a hair treatment that could offset the negative effects of her impending cancer treatments. Having never asked for anything from Denis, he naturally agreed. This was personal and for obvious reasons, he took it upon himself to create a hair treatment from scratch, formulated specifically for his mother. Denis referred back to his little black book of ingredients, ingredients that he had earmarked but yet to be exposed to the mainstream market. Due to his extreme concern for his mother and what lay ahead, he knew he had to choose the best of the best. 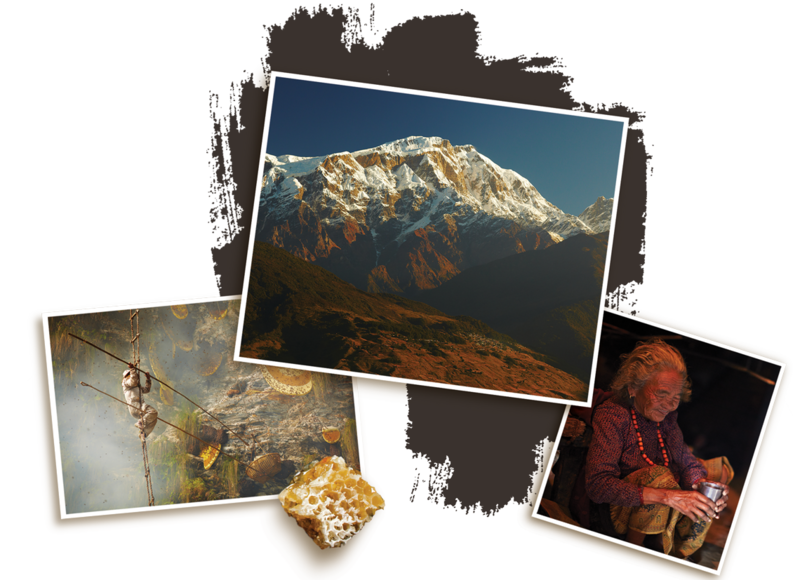 Just back from Nepal, Denis had discovered Dhatelo Seed Oil, a wildcrafted ingredient growing 15,000 feet up the Himalayan Mountains. From his conversations with local Nepalese women, he had learned they churn the seed oil into a medicinal-therapeutic paste, a procedure they have practiced for centuries. 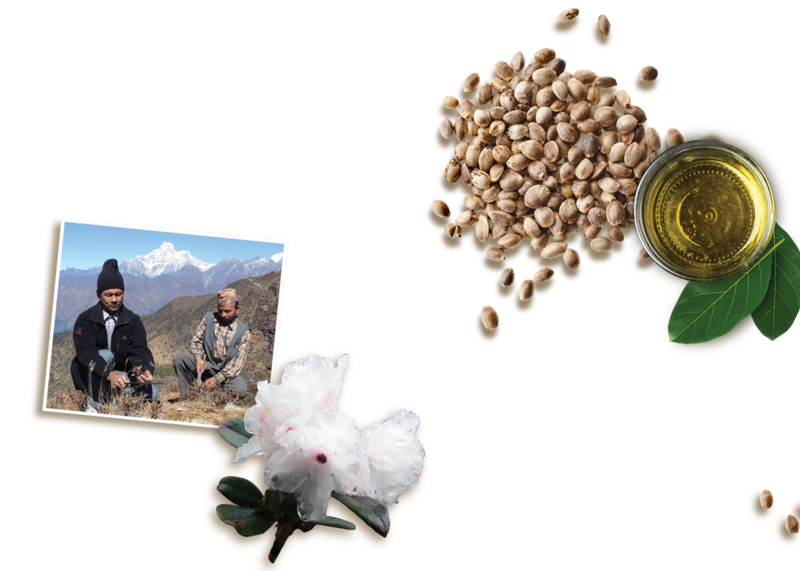 Once maturated, they would apply it to their hair, to preserve suppleness, moisture, strength, and vitality, while offering protection from the harsh environmental conditions of the Himalayas. Due to his mother’s cancer treatments and heightened sensitivities, it was imperative to develop a formula that was clean, a formula that would provide the vital nutrition her hair and skin required. After spending numerous sleepless nights, countless trials and “tweak’ing” the most promising of formulations to perfection, Restore was born! A true 5 in 1 formula, an intensive hair treatment that cleanses, detangles and gifts the hair with an impeccable natural sheen. He made it easy for his mom to use too; it was basically “goof proof.” So simple that she only had to use this one product to preserve and protect her hair. His mother noticed the difference after just one use and after several weeks of treating, cleansing and conditioning, her hair continued to get healthier, shinier and stronger; it was RESTORED. There was LESS hair in her brush with every subsequent use. It took some convincing but Denis soon gave in. He then took his formulation to a number of independent research laboratories to confirm what his mother and her friends were experiencing. He had to know without any uncertainty, what this product could do. After a series of tests, the results were undeniable. 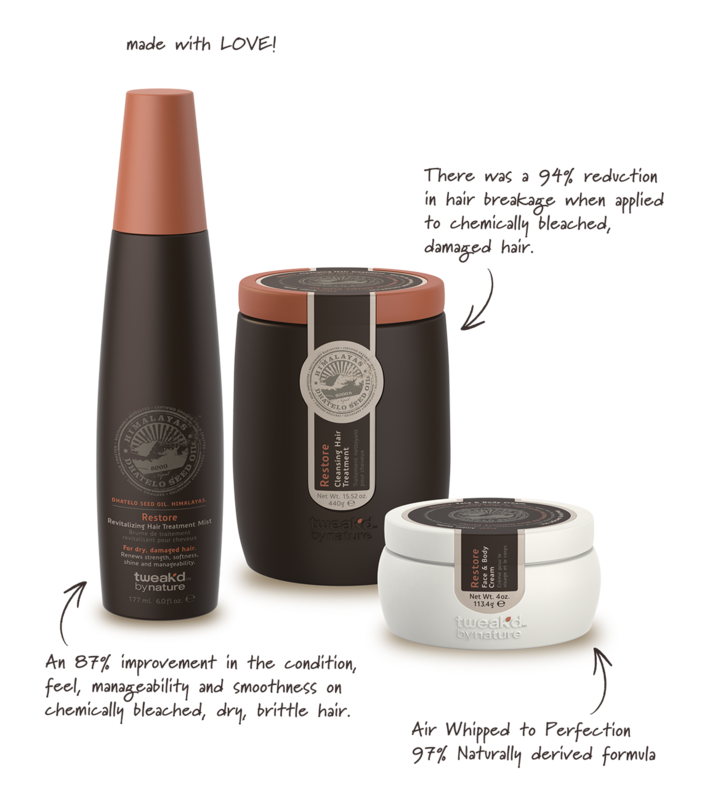 Statistically significant, there was more uptake of hair health ingredients into the hair fiber when compared to a leading shampoo and conditioner applied the traditional way. After just one use, there was a 94% reduction in hair breakage when applied to chemically bleached, damaged hair and a duly noted 75% increase in shine and luster when compared to another leading shampoo and conditioner. He did it! Based on Denis’ past it was only fitting to call this revolutionary formulation “RESTORE”. During his 20 year career in the beauty care industry, this is only the second time he has christened a product to bear the name, RESTORE because that is exactly what it does…it instantly RESTORES the condition of dry, damaged, weakened hair. What we know is many people are looking for a stronger connection to Mother Earth, to experience her heightened intellect for rejuvenating naturally occurring beauty. Understanding what Nature has to offer is what is truly worth celebrating; the unbound wisdom from ancient communities, free of embellishment, and balancing the artistry to nourish the mind, body, and soul. This approach is what led to the creation of Tweak’d By Nature, our treatment based beauty care brand values the ingredients, the ancient wisdom, the ecosystem from which they are harvested, and the traditional methods of purification and extraction.